The most common reason for knee replacement in the United States is severe osteoarthritis. Osteoarthritis is a degenerative, “wear-and-tear” type of arthritis that occurs most often in people 50 years of age and older, but may occur in younger people too. In osteoarthritis, the cartilage in the knee joint gradually wears away. While there may not be solutions available to patients in the U.S. this year, new technology out of Israel does offer some hope in 2017, at least for patients in Europe. 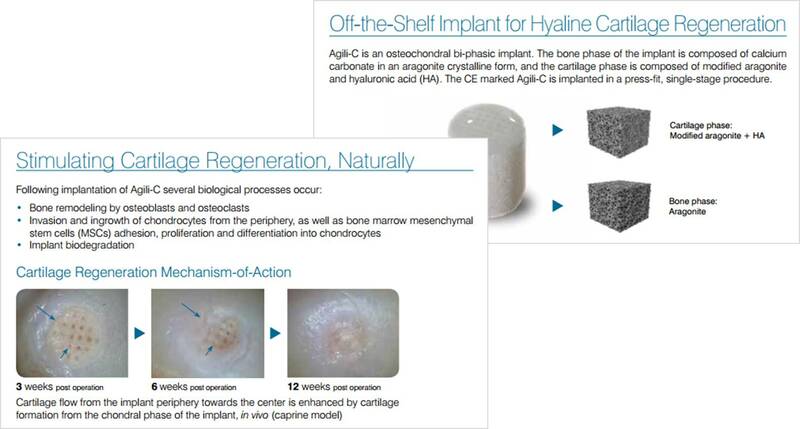 Enter CartiHeal Ltd. – named Israel’s Best Incubator Company for 2012 – the developer of a cell-free, off-the-shelf cartilage and bone regeneration device, that announced the culmination of a $15M financing round last month. The investment was led by Johnson & Johnson Innovation – JJDC Inc. – together with CartiHeal’s existing investors: Elron, Accelmed, Access Medical Ventures and Peregrine Ventures. The market for cartilage rehabilitation is estimated to be worth $ 1.6 billion. For such a small area of the body, you’ll notice a lot of big numbers getting thrown around. According to a report from Center for Disease Control published at the end of last year, in 2010, total knee replacement was the most frequently performed inpatient procedure on adults aged 45 and over in the U.S., with an estimated 5.2 million total knee replacements performed in the 11-year period from 2000 through 2010. 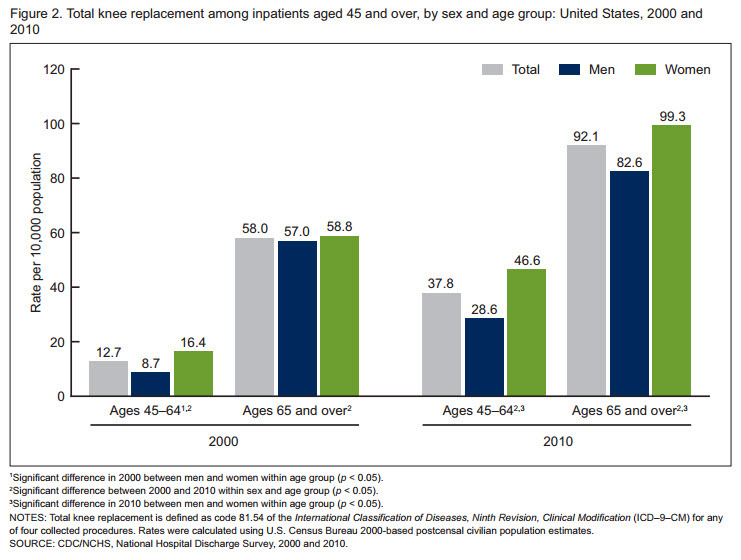 There were an estimated 693,400 total knee replacements performed among inpatients aged 45 and over in 2010 alone. The rate of total knee replacement for men and women almost doubled from 2000 through 2010, while the mean age at which inpatients aged 45 and over had total knee replacement decreased significantly. Globally the United States and Europe are the two largest markets for knee implants, with the U.S. accounting for nearly 50 per cent and Europe contributing to around 30 per cent of total procedures worldwide. Money magazine in September 2015 estimated the market for knee replacements in the U.S. to be worth $4 billion. Giving an aging population staying in the workforce longer, and rising obesity rates, a paper in the Journal Of Joint And Bone Surgery predicts that the demand for total knee replacement surgery is expected to exceed 3 million per year by the year 2030. What’s behind the growing demand for new knees, with the rate of replacements doubling and the mean age of those receiving knee replacements decreasing? Blame it on the lifestyle of the baby boom generation, says Mathias Bostrom, MD, an orthopedic surgeon at New York’s Hospital for Special Surgery, where total knee replacements were pioneered. “They’re not willing to be sedentary or change their lifestyle,” Bostrom is quoted in WebMD. “Their joints are beat up and they’re living longer, and they want joints that let them do the things they’re used to doing.” It would seem that the Woodstock generation wants to go dancing into its collective psychedelic sunset in the manner to which it has become accustomed. The annual economic impact of arthritis in the U.S. is estimated at over $120 billion, representing more than 2% of the gross domestic product. The cost of knee surgery can vary wildly depending on the region or hospital. According to CDC data, on average, it’s increased to about $16,600 in 2012, from $13,900 in 2000, in inflation-adjusted dollars. Though there are risks with any surgery, including possible infections or implant failures, knee replacements are considered a highly cost-effective intervention because they can allow people to continue to work and avoid disability or other expensive care. On the down side, some patients who get knee replacements don’t get the benefits, particularly if their pain or impairment was mild to begin with. “The actual eligibility criteria for total knee replacement is by definition vague,” says Daniel Riddle, a physical therapist and professor at Virginia Commonwealth University. He led an analysis of 205 knee replacements that judged almost one-third of them to be inappropriate. After two years, that group showed little improvement. The results, from four study sites, aren’t generalizable to the U.S. but they are a cause for alarm for patients who would fall into this category. Therein lies the rub and the prospective knee replacement patient’s dilemma: what to do in a situation where one is having issues with one’s knees but one’s alternatives are so limited? For someone suffering from knee pain and loss of mobility caused either by injury, osteoarthritis, or both, the treatment choice continuum involves treatment for symptoms (pain, anti-inflammatories, localized cold therapy compression), lifestyle changes, physiotherapy, hyaluronic acid injections or stem cell therapy on one end, and either partial or total knee replacement surgery on the other, with little or nothing in between. Still, for those for whom less invasive options for their knee issues were limited, CartiHeal does offer a glimmer of light at the end of the tunnel. As does Regentis Biomaterials Ltd., a leader in the field of cartilage repair; they announced the closing of its Series D investment round on February 5, 2016. The $15 million investment was led by Haisco Pharmaceutical Group (“Haisco”), a leading Chinese pharmaceutical manufacturer, and was joined by existing Regentis investors including Medica Partners, SCP Vitalife Partners, Generali Financial Holdings and both the Technion Research & Development Foundation and the Technion Innovation Opportunities Fund. Regentis Biomaterials is a privately held company developing biodegradable hydrogels for the regeneration of damaged or diseased tissue. The company’s first product is GelrinC©, a cell-free implant for the treatment of injuries to articular knee cartilage. Implanted as a liquid, GelrinC is cured in-situ to form a resorbable implant which is gradually replaced by newly regenerated cartilage. As part of the investment, Haisco will serve as the exclusive distributor of GelrinC in China. The investment will be used primarily for conducting a pivotal clinical trial on GelrinC in the U.S. as required to obtain marketing approval from the FDA, according to Alastair Clemow, Ph.D., Regentis Biomaterial’s CEO. Two months into 2016 and two new technologies (both from Israel and both focusing on cartilage regeneration) have been added to the continuum of alternatives to traditional knee replacement surgery. Both companies will face major regulatory issues before their products can be marketed in the U.S., as well as the possibility of push-back from the existing 4-billion-dollar industry. The main thing is that if you can turn osterauthritis around for the good, you are not going to be dealing with such problems. Just seeing the graph that shows more than 67 million people with it in 2030 is out of this world. I would love to have this done. I take no pain med. very hard to walk. Is anyone in US doing this ????? site daily, if so then you will without doubt take pleasant knowledge. Nobody has been able to reproduce truly hyaline cartilage which we innately have in our knees. It is still a fake fibrocartilaginous material which does resemble hyaline cartilage in some aspects, but not all of them. Good to see there is some hope for the future. My doctor has been telling me to put up with my pain and just rely on steroid injections and pain killers as at 63 my knees were not too bad and there was a lot of research going on which could give a better long term cure than a replacement would offer. With the injections I can still walk and go skiing but they only last a couple of months and I can only have 3 a year so I have to step up the painkillers to fill in the gaps and time the injections for a couple of weeks before I go on holidays. I was not a dancer and did not do running or jogging just walking the dog and a little swimming and scuba diving until I was introduced to skiing in my mid fifties. It was possibly ladder work in my job that knackered my knees as an engineer. So looks as though the advice was good and there may be a long term cure soon. The public should be protected against media hype on flimsy, at times pseudoscientific, novelties in medicine and surgery. Give corporate driven medicine proteoglycans, leukotrienes and stem-cells and they sooner or later come up with some sort of premature ‘new technology’ promising hope for patients with real issues. It is easy to not publish the down side and failures of new stem cell therapy in degenerative joint disease—there are many. Bias driven corporate research however is driven to prove themselves right rather than inconsequential in the longterm. There are many current ways of stimulating GAGS in joint and stem cells are commonly used with still many issues and no permanent longterm cures. So please really surprise us before billions are spend on another novelty gadget. Unless this is breakthrough nanotechnology or something new in altering damaged genes, or morally driven to cure rather than merely profit, please give the public a break from merely covering cost of another feckless novelty tool. So please reveal publicly how this new technology will work and the help patient— patients are not as dumb as you think and we are not driven by money but a genuine interest and a cure. Crystal, I take your point however there are 4 people that I know have had stem cell injections into their knees and they have had great results. They now walk without a cane and 2 of them can play golf again. I had both of my knees replaced on the same day in 1999.They are now crumbling and I was advised to hang on to them as replacing them would be “more painful ” and less chance of working than the first time. So I take painkillers daily, but still manage to walk without a stick. All of this publicity about playing sport is good for you is a load of phooey. Squash daily and tennis nearly every day did this to me and I’am still overweight A pity this material was not available earlier. I am a 53 yr old male and had a total left knee replacentment 16 yrs ago and all is well. My ortho doc xrays and measures wear every 2 yrs and due for checkup soon.My need was major injury at age 19 and 3 reconstructions from additional injurys. I was 37 yrs old when they replaced it and it was the best thing that i ever did. I am very active and work full time.The best advice I would give any body is PHYSICAL THERAPY IS #1 and then take care of your new knee. If i am doing to much it will swell up telling me to slow down. I do so and all is back to normal in a day or 2. Great to hear of new technology because my right knee has done most of the work for all that time. THANKYOU and good luck to all Sincerely Mark C.
I have Osteoarthritis in both knees I have been turned down for replacements because of my age I’m 54 and have been suffering with severe pain for 9 years. I had painful knees when I was 11 years old. This breakthrough gives me hope I just want a normal life to be able to work and walk again. My own lipid-derived stem cells completely relieved pain/disability and restored the entire hip joint space that had measured zero millimeters due to OA – no space, none, before procedure, and 6 months later was a smooth 4 plus mm with 2 more years of restoration to continue. I was able to sit in lotus posture 4-1/2 months later and I am forever grateful, every single day. My own cells. Why introduce a foreign body – any risk – when your own cells can heal? My case was advanced, not moderate, so,I would not qualify for this implant. It took all of two hours. Two weeks later I was able to stand on that leg the first time in 18 months. What is the name of the stem cell procedure you received? This post is almost a year old. Please share the stem cell procedure procedure. Who did the procedure and where was it done ? I have a question if you had a total knee replacement can you have this procedure done? They literally remove the entire joint, so unfortunately no – if you have had a TKR, you’ll have to have another TKR when your hardware degrades to the point of needing replacement. You’re extremely intelligent in your decision. Unless you’re in excruciating and completely debilitating pain to where it’s significantly impacting your life, you should wait as long as you can before having any joint replaced. A lot of ortho docs will actually purposefully decline to do surgery as long as possible. While it definitely helps those that meet the criteria of excruciating and debilitating pain, if you’re really just starting with the pain (or have had it for only a short period), you may run into a period where cost (to your health) vs benefits is just not there. If you get surgery too early, you may run into a risk of having issues later in life. 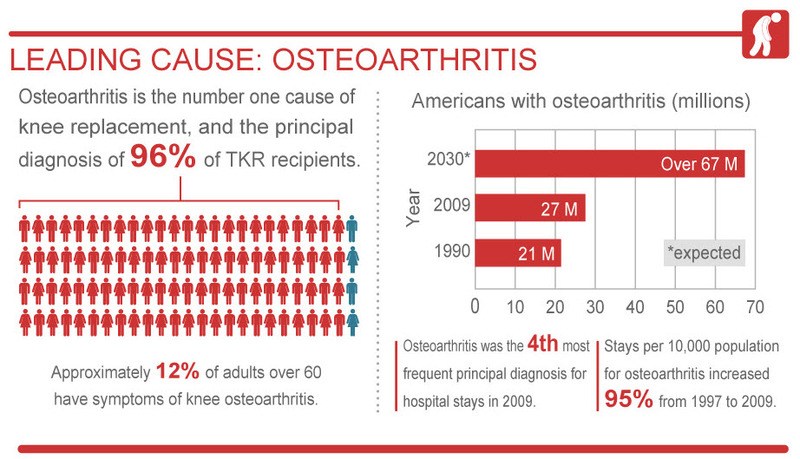 Most people and physicians will only agree to 2 TKR’s in a patients lifetime. TKR’s only last 10-15 years, max. If you get a TKR when you’re 30, you’ll meet that 2x max by the time you’re 60. There are always improvements in technology, but the cold hard fact is your body will only take so many surgeries to the same part before it gets infected. No matter what the docs & hospitals do to prevent it, the chance of infection increases in a HUGE way after the first surgery, and then again after the second. I am excited to read about this new treatment. I feel my osteoarithritis is getting worse with each passing year. I will be 50 this year. Is it available in Canada? If so where? I’ve just had a great update conversation with Nir Altschuler, Founder & CEO of CartiHeal. There are new research papers that will be published in the next 3 to 6 months and when they are, I’ll share details here. It will still take some time before the technology becomes available. Europe will be first and the U.S. after F.D.A approval, later. The technology may also not be suitable for anyone with advanced osteoarthritis. For people like myself with moderate OA, it does offer hope of an alternative to TKR. My total,knee replacement in may last year, has resulted in me having horrendous red sore areas,,classed as Psorasis on my arms face and ears.. Allergy patch test reveals I’m allergic to,nickel …which is also in my Implant. Wish I’d known this before operation. Perhaps the alternative would have been the better option had I been tested first. Replacing your knees is never an easy thing. The surgery might be one thing, but the rehab is completely different. Having this new technology would be great if it lasted the rest of your life and the rehab was shorter. My mother had a knee replacement almost two months ago and isn’t doing well at all. She is in horrible pain and can barely walk. I have a bad knee, but after seeing her post-op problems I’m very reluctant to have any surgery. This would be a great alternative. Stay away as long as possible – it helps greatly if you need it, but its painful, and you have to be DEDICATED to rehab, even though it’s excruciating. Let your body tell you when it’s time, but one of the things to look out for is, “Is it just me getting older, or can I not do things that I should be able to” … you’ll know when it’s time. A “new” knee is NEVER as good as your original – even with great rehab and a great surgeon. I know a group of people that have had knee replacement and even though the “new” knee is better than the last, I know they would appreciate some new technology going into the process. That is good to see! I agree with you. Technology should not be limited to the rectangle thing in our pocket. RE: “Alternatives to Knee Replacement”. I already receive biannual Israeli ” Uflexxa” knee injections ( after arthroscopy ). This is great news for you! It is nice to see that technology can help in just about any situation. Not being able to take medication has to be tough to deal with the pain. I did a quick Google search and found a lot of locations where you can get a knee replacement. Good luck on your search!